Jaguar in first is $55. 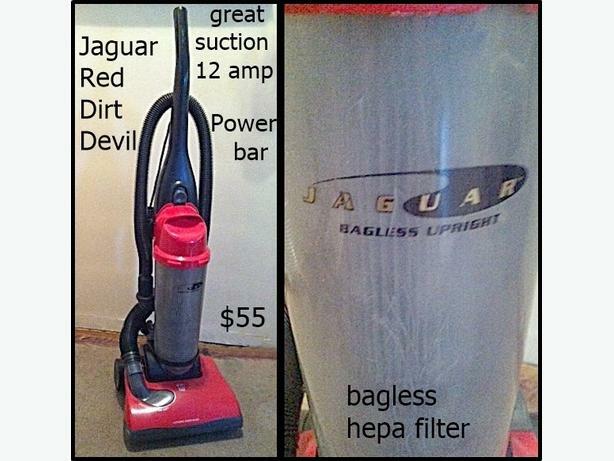 Powerful and has great suction and power bar so great on carpets and floors. Red dirt devil swivel in second picture is also $55. and has great suction and power bar for carpets and floors.